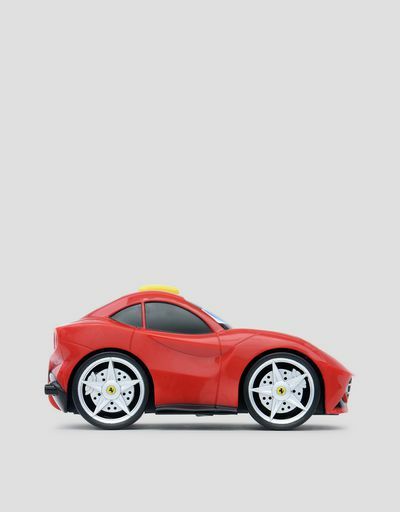 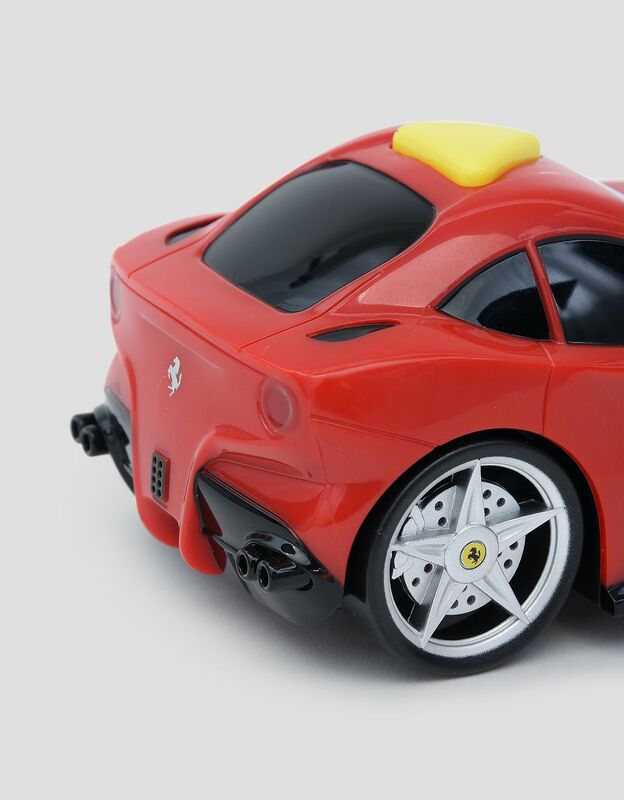 The legendary Ferrari F12berlinetta is now available in a playful toy version. 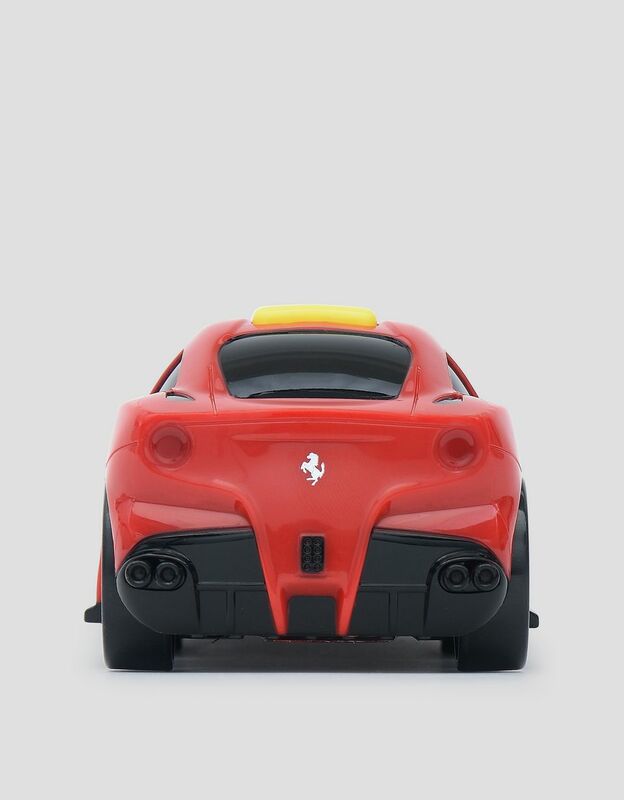 Produced by Bburago Junior for Scuderia Ferrari, it was designed for the fans of tomorrow. 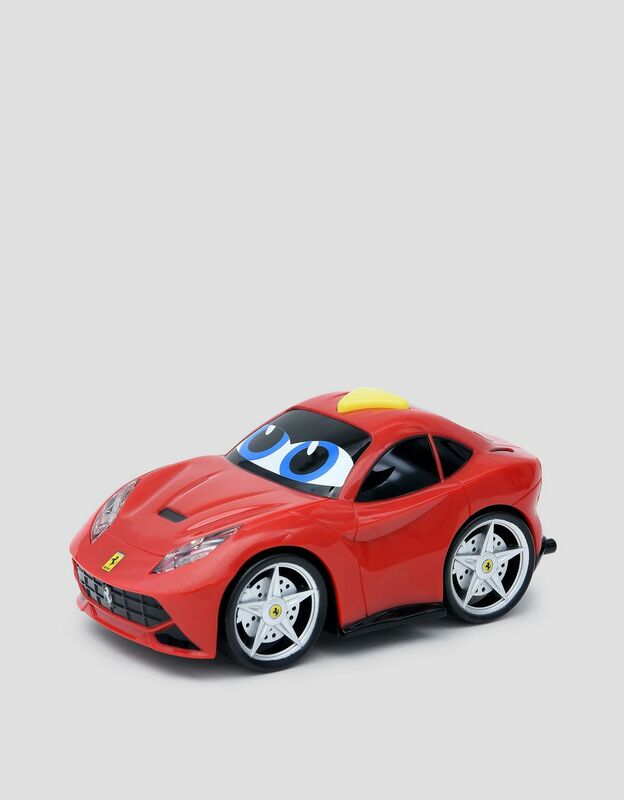 The Ferrari F12berlinetta model is a multisensory toy, with lights and sounds that are activated when the yellow button on the roof of the car is pressed. 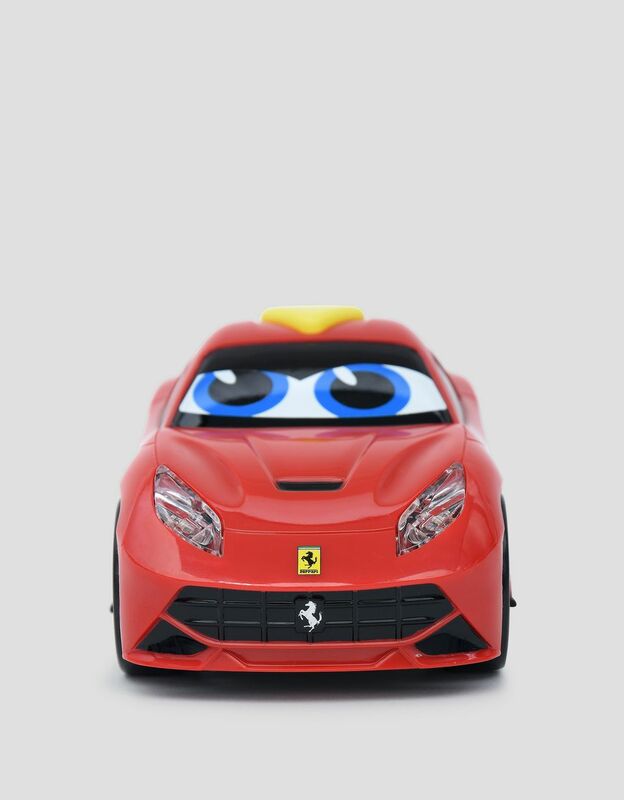 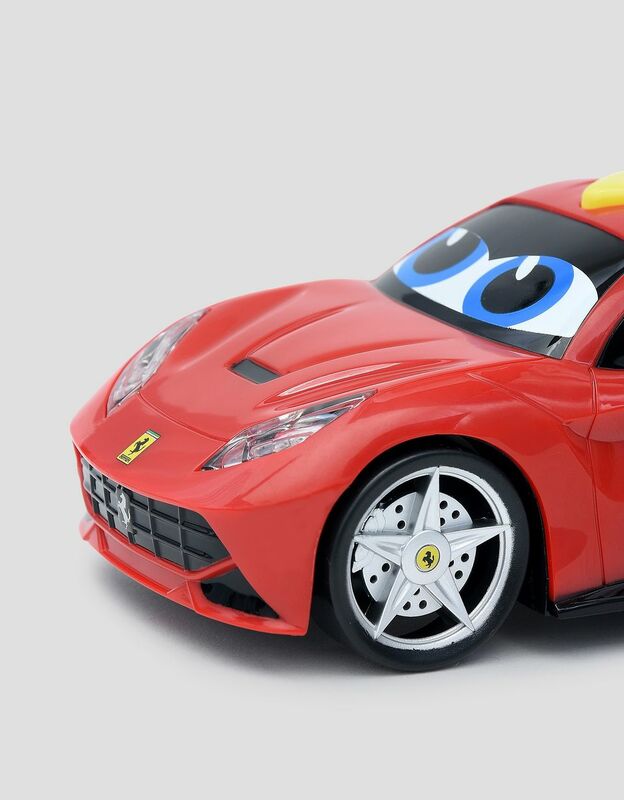 Featuring an exciting design, it is customized with the Scuderia Ferrari Shield debossed on the trunk and rims.Produced by Bburago Junior and designed for children age 12 months and up, the Ferrari F12berlinetta model has moving wheels and 2 AAA batteries included.